I’ve started to see 4th of July manicures popping up on various blogs and nail tutorials on YouTube. It was kind of eye opening to think that we are just a week and a few days away from 4th of July. Eye opening might not be the best word … more like depressing. Because 4th of July always signals the middle of the summer for me and it seems like summer just started! Anyways, since I’m not great at nail art and seriously lacking inspiration, I figured I would show you guys a new summer polish! And the name seems kind of fitting for the 4th! Zoya “Liberty” is a new pixie dust polish and it is a bright cerulean blue color. This is one of my favorite shades of blue! I have a few different polishes in this shade but this is my first glitter. It has silver glitter in there, but the blue base color kind of takes over it and makes it look like bright blue glitter peaking through. The formula on this polish is typical of the other pixie dust polishes I’ve tried. Its opaque in 2 coats but it has a ridiculously long dry time. That is one thing that I hate about the pixie dust shades, they seem to take a good 45 minutes to an hour to fully dry. But once they’re on, they’re on and not going anywhere! These things are like glue once they dry! And I had to know what it looked like with a top coat! I will say that this thing eats top coat, so be prepared to do at least 2 coats. Another downside to this polish besides the long dry time is that it stains like no other! There’s only one other polish that stained my fingers this badly and I threw that polish away a long time ago! I had to do 2 different treatments to get all the blue off my hands! Be prepared for smurf hands ladies! What do you guys think? Do any of you have this polish? Have you ever had problems with staining? Oh woah! Is that staining really worth it?! Whoa. Smurf hands AHOY! That’s annoying! oh and maybe next time when you are taking this nail polish off use some latex gloves 🙂 that might help some. No, thank you very much. I ditched the gorgeous Mediterranean Blue (Mavala) for this same reason. grr why do some of the prettiest colors stain so bad? Baking soda or tooth paste and a nail brush will help remove the staining. Be sure to work up the solution to a lather. This is from my daughter who is a professional hand model. Try it and see if it helps 🙂 Your blog features a beautiful color – thank you for the Independence Day inspiration. oh thats a great hint! i tried baking soda but never tried tooth paste. thanks so much for the suggestion! Smurf hands indeed! Perma-stained nails are on thing most of us have learned to live with but stained skin is just awful. Thanks for the warning. 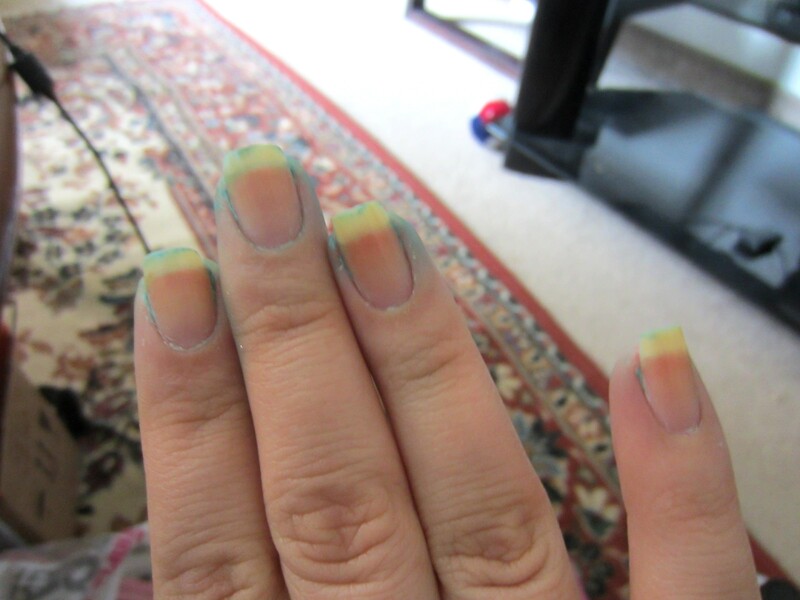 I came across your smurf hands post when I had my nails painted in a blue colour (Revlon Royal – not good in my opinion) last week. I was scared I might end up with smurf hands, too, but I was luckier than you. So sorry you had to lie with blue hands for an entire week! 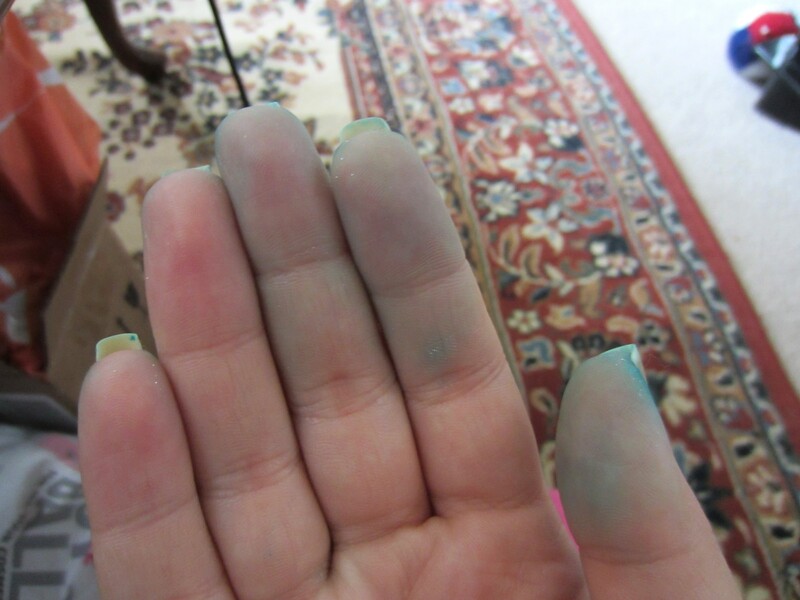 i have heard that revlon royal is a smurf hand culprit. its such a pretty color but i’ve never purchased because i was scared to deal with that again. good to know it isn’t that bad!